So last weekend at the ripe old age of 40 I finally went to my first ever Music Festival!! The Squamish Music Festival! Woo hoo! 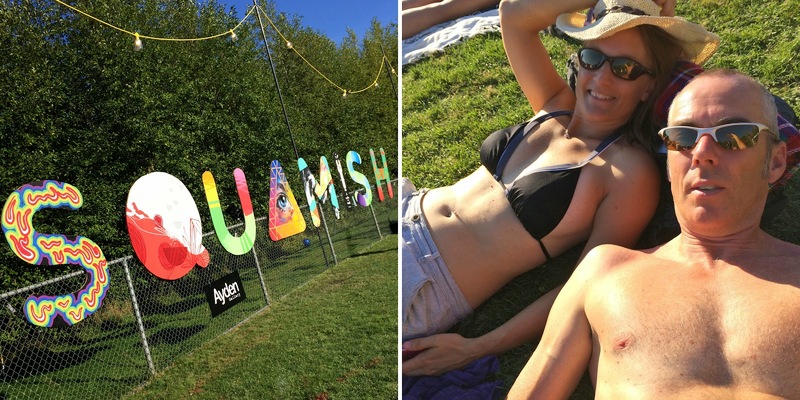 Squamish is a 3 day festival, but due to other calendar commitments we were just looking at Sunday. Enimem head-lining along with the Arctic Monkeys, Pete Tong & John Digweed (and obviously dozens of others that we'd never heard of!) Tickets were $150 for a day pass. Which at first glance seemed expensive but then I reasoned that we'd be paying that for a concert in BC Place in Vancouver, or even locally here in Kelowna. And for that money we get a whole day of music and entertainment! Really it was a steal! The weather was amazing. Temps in the early 30's and wall-to-wall blue. The festival grounds did lack shade which was hard going, but Squamish is surrounded by giant mountains so the sun dips below the horizon earlier here than some places. It was an instant and welcome relieve when it did! The Stawamus 'Cheif' was a pretty magnificent backdrop to the stage! We loved the whole experience! There were 4 stages - 2 'big' ones, a DJ arena/stage and then a smaller stage for more alternative stuff. 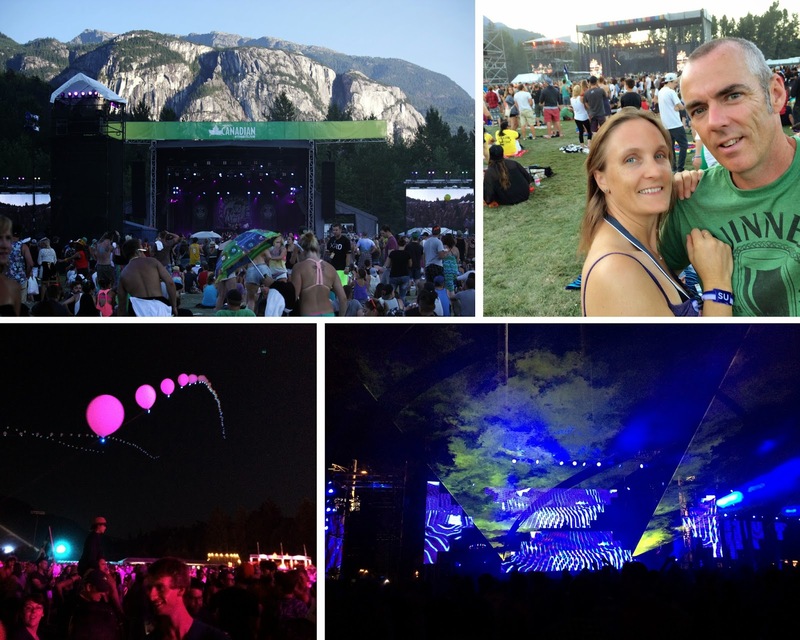 We hovered between the Tantalus, the Stawamus stage and the Blueprint arena. We listened to Phatogram & Atmosphere whilst laying on our picnic blanket in the late afternoon sun, then cruised by the DJ stage and chilled out to tunes from Project 46 (was one of my favs from the event). We checked in on the Arctic Monkeys but it's not really my taste. Back to the other end of the grounds for some awesomely varied music from the Theivery Corporation. You can see the man....just!! 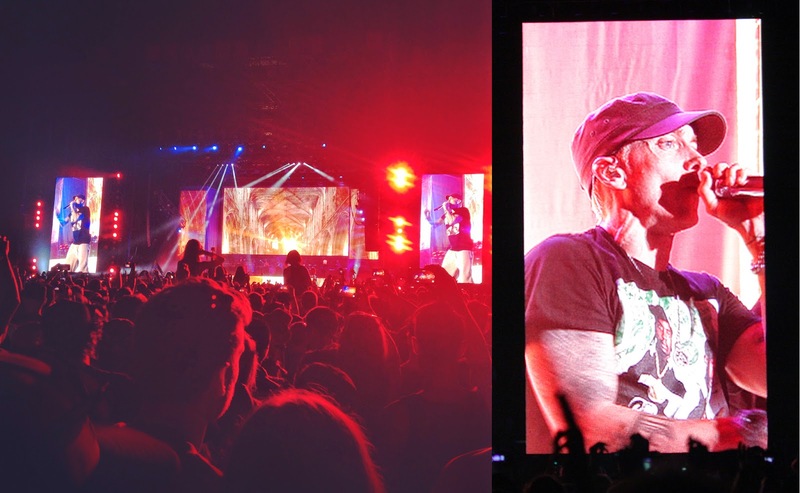 Eminem played an awesome set! Eninem was the day's big draw for most people, and he was on the Tantalus Stage at 9:40 - it was packed!! We worked our way through to a spot nearer the front for the first half of his show, then moved back for a slightly more relaxed time for the second half - with less crowding around us you could actually see more! (just further away obviously!). he played an awesome set - some older stuff mixed in with the new and he had an great singer accompany him, taking the place of Rhianna in several of those tracks - she sounded fantastic! 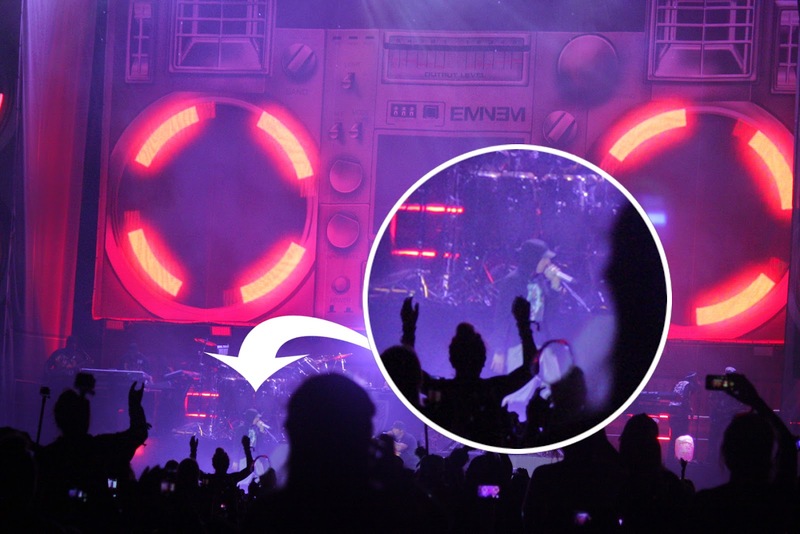 His encore was 'Lose Yourself' which had the crowd erupt! He was done around 11:20 and we headed back to end our night listening and dancing at the Blueprint arena and a bit of John Digweed. I was surprised and impressed how organised the festival was. Obviously great weather helps things enormously! But the line-ups for our tickets at the start of the day and then food, merchandise and porta-potties were never long. 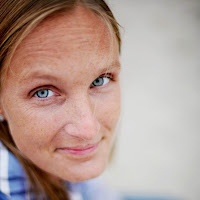 They were efficient and staff were jovial, professional and knew their stuff. it was altogether well organised and a slick moving operation. I was never overcome by the crowds and mass of people - and of course there were lots of people - but there really was space for everyone and no-one was bitchin'. Even the RCMP roaming the grounds were friendly and seemingly enjoying themselves, chatting to festival-goers as they went. I didn't see or sense any bad vibes. It thankfully wasn't as 'hippy and young' as I thought it was gonna be - quite the relief for this old dog! Aside from the music there were plenty of vendor and sponsor tents to browse - most giving out freebies of some kind - we had free slushies, Kind bars, Jerky and Hawaiian Tropic had a stand doling out sunscreen and after-sun samples! (pretty handy given the weather!) I missed out on getting a free caricature done, but we get some groovy sunglasses and a beach ball! (which Meli loved destroying! - and then still loved as she tore around with a deflated ball!). At the end of the night we drove the 1/2 hour down the road to our camp-ground at Porteau Cove (one of our favourite BC Provincial parks) and woke the next morning to the sound of the water lapping the shore. A morning paddle-boarding and yoga session before getting back on the road for the drive home. 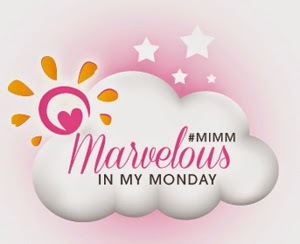 Linking up this fine Monday morning with Katie's 'Marvelous in my Monday' linkup - celebrating all that is good about the beginning of the working week!